If walking on the glaciers, passing through the forest, gazing up at a clear blue sky and enjoying the best of nature is what interest you the most then a trek to Milam Glacier can be the best idea for your adventure vacation. The Milam glaciers, located at an elevation of 4268 m, sprawling over an area of 37 sq km, have all the reasons on this earth to be on the bucket list of every trekker. 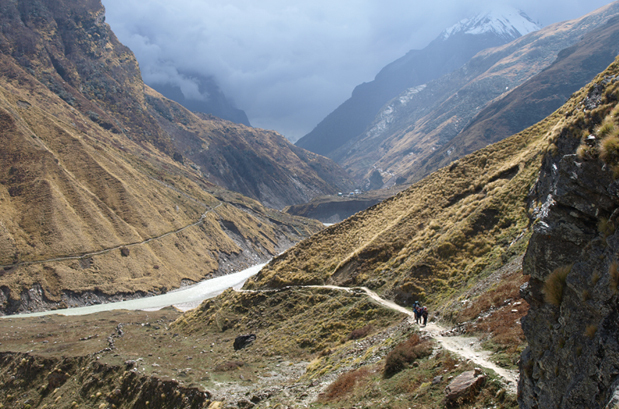 Trail, from the base camp, Munsyari, till the glacier, is bestowed with a unique blend of splendor and thrill. It will be little tiresome as the trail might show challenges on some turns but the result, breathtaking view of the Mt. 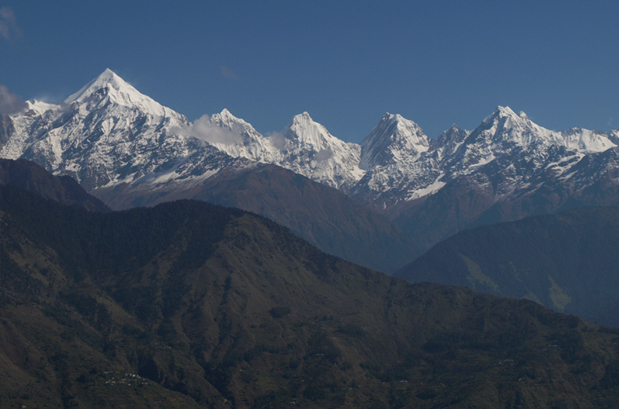 Trishuli (7070m) and Hardeol (7151m), is worth all the effort and money. Indo-Sino war 1962, citizens of both the countries witnessed something they would have never imagined would happen. 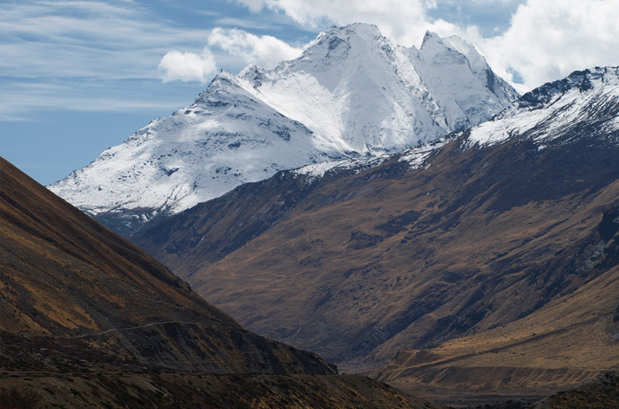 You can see the remnants of the Indo-Sino war in some prominent landmarks of the Milam Glacier trek. In the year 1962, the trek was closed for trekkers, however, in the year 1994, trekking was started again and slowly it became closest to many trekkers and adventurers hearts. 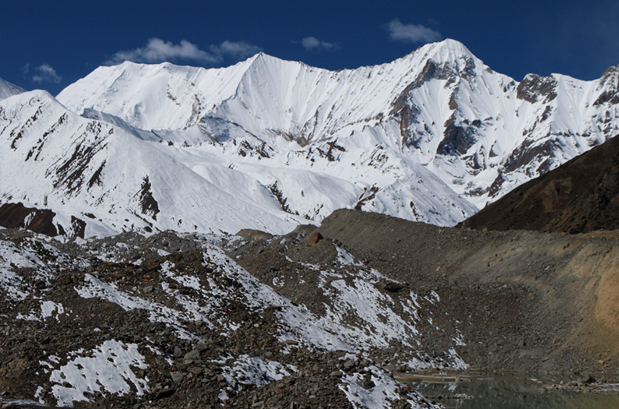 The expedition to the glacier starts from Munsiyari, a small town which is 300 km away from the Kathgodam. 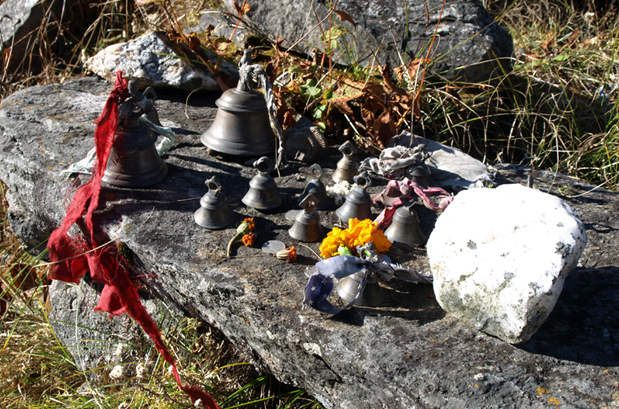 The trekking is rather simple here as you will have trek downhill till the Jimighat. Next day in the morning, putting on a brave smile, you will head to Bugdiar, which can be reached by crossing a series of the forest. After Bugdiar, you will have to pass narrow gorges to reach Martoli and then further to Milam, which will be the final destination. The trail, from Munsiyari till Milam, brings out the true colours of nature. 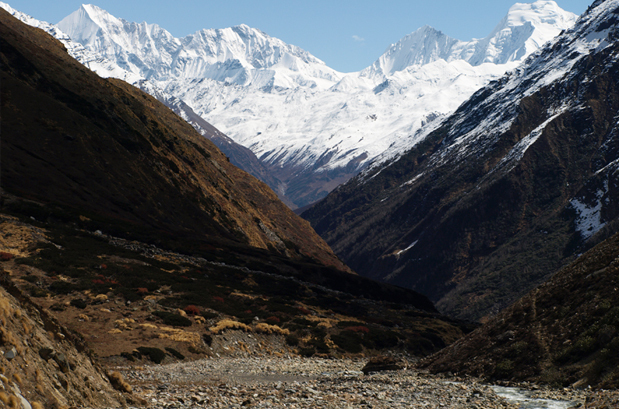 Dense forest lined with trees clung to each other, chattering streams making its way to the river from the glaciers, meeting and greeting the locals along with challenges makes the Milam Glacier trek best for explorers and adventurers, alike. The 13 days travel to Milam Glacier Trek might show you the most pristine form of nature, which can change your perspective about the bounty of the natural world. 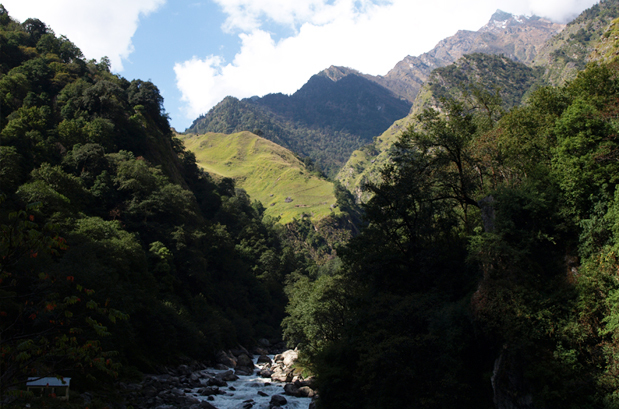 It's tough to explain further the splendors of the trek, as it can be only experienced. Mid March to Mid June is an ideal time to visit this trek. Summer (Mid March to June): Weather remains hot during the summer season. Monsoon (Mid-June to Mid-September) It's not a good time to visit as the trail gets slippery, and trekkers find it tough to make through the route. Spring (Mid-September to late October): Weather remains moderate during these months of the year. Winter (November to late February) Trekkers can't go for trekking during winter as the temperature rolls down in minus and thus, trails remain covered with snow. Where is the Milam Glacier Trek? 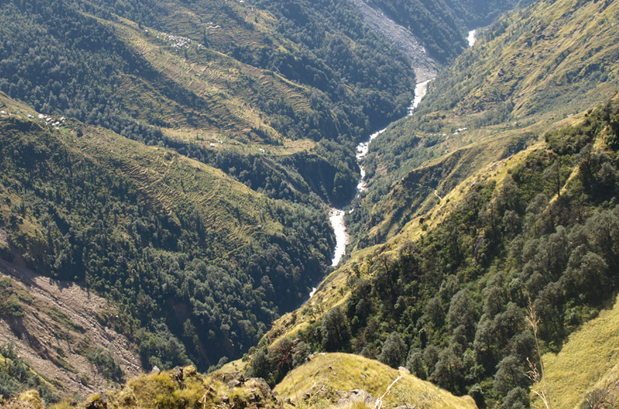 One of the biggest glaciers in Kumaon region, mighty Milam is a perfect trail for trekking. 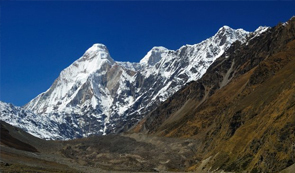 Spread over an area of 37 sq km, at an altitude of 4268 m in Pithoragarh district of Uttarakhand, the trekking trail to Milam glacier features rivers, water streams, canyons, crevasses and more. 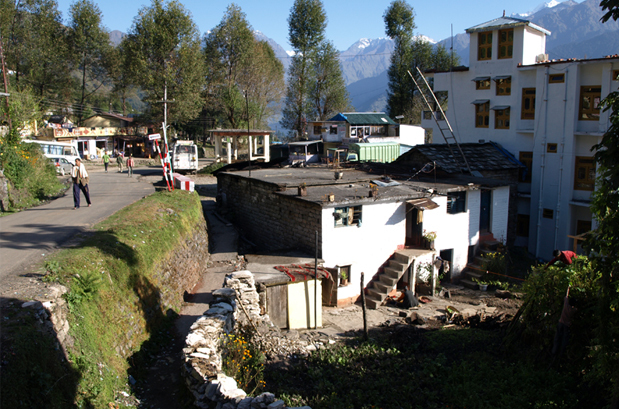 The village of Milam lies near the snout of the glacier; Munsiyari, further down the Goriganga valley, is the base for the trek to the glacier. In the year 1962, the area was declared as a ghost town because it faced significant destruction during the Indo-Sino war, leaving behind the wreckages. However in 1994, entry to the city was allowed to the trekkers and the other visitors. Months between March and May are considered as the best time for trekking. By Air: The nearest airport is Pantnagar airport, which is around 340 km from Munsiyari, the starting point of the trek. By Rail: Kathgodam railway station is the nearest railway station. By Roadways: Neighbouring towns like Nainital, Ranikhet, Kausani, and Haldwani are well-connected with state-owned buses and taxis. AC train from Old Delhi railway station will arrive at Kathgodam by morning. On arrival, you will meet your travel guide, who will transfer you to the hotel. On arrival, meet our agent, who will be your guide for the tour. From the station, you will be transferred to a hotel for an overnight stay. 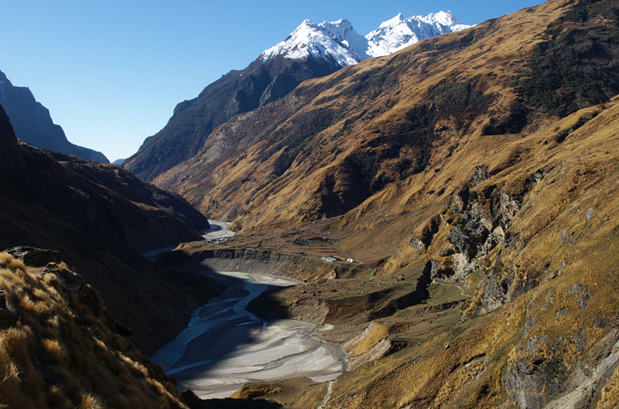 The first leg of your journey towards Milam Glacier starts from Munsiyari. 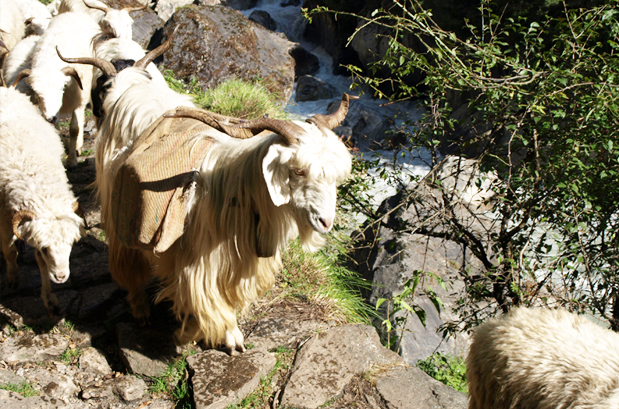 After breakfast, you will begin your trek to Lilam via Darkot. 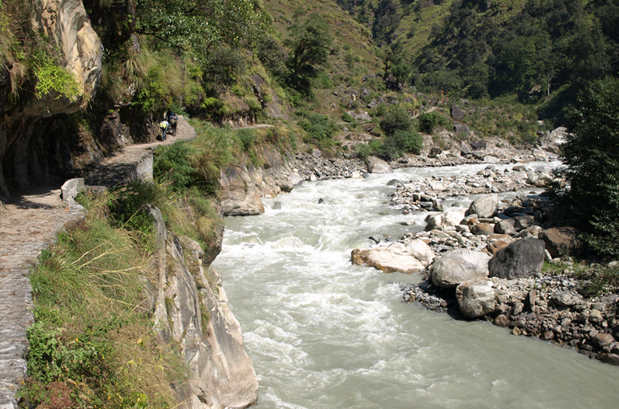 From Darkot, the trek will descend downhill to Gori Ganga until Jimighat. From the riverside, you will trek back to Lilam. Overnight stay at camps in Lilam. Getting up in the morning, you will trek uphill to Bugdiar. After crossing a series of lush green forest, lined with trees, you will reach Bugdiar. Flocks of sheep and goats are a common sight at the meadows of Bugdiar, which will be our campsite for the night stay. Dinner will be served in the tent. Passing through the series of narrow gorges today, you will trek to Martoli via Railkot, which is located at the edge of Lwan Gad Valley. Overnight stay in the tent in village Martoli. 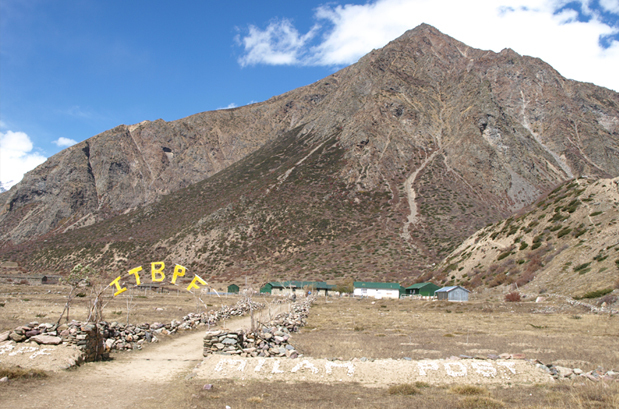 With today's trek, you will reach the most important landmark of the trek, Milam village. 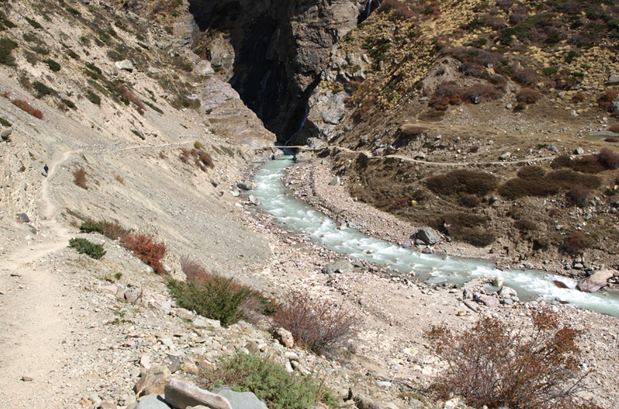 On the sixth day, you will firstly cross the bridges over Lwan Gad and Gori Ganga to reach Burphu Village (3350 M). 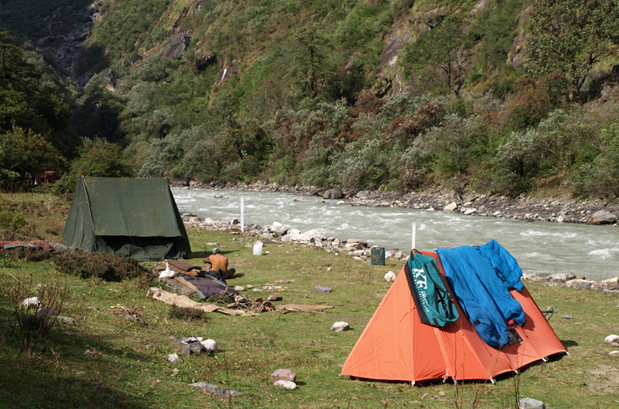 Your next stopover point will be Milam village, which will also be your stopover for camping. Set forth after an early breakfast on a trail to Milam Glacier, from where you can enjoy the panoramic view of magnificent peaks like Rishi Parvat (6692 M), Hardeol (7151 M) and Tirsuli (7074 M). Later trek back to Milam for dinner and overnight stay. Trek downhill for 17 km till Railkot. Overnight stay in the tent. 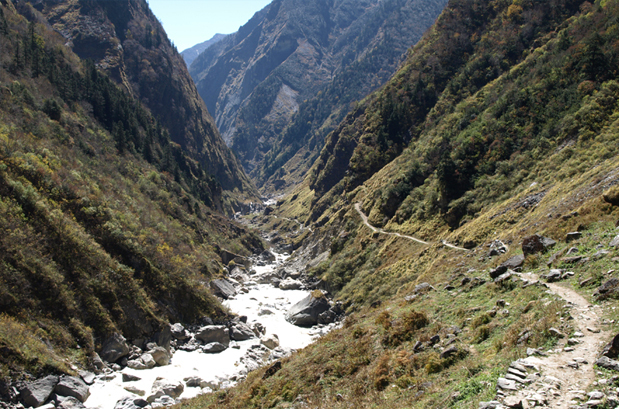 You will trek 12 km downhill even today; highlights of the trail are the narrow gorge of Nahar Devi. Overnight stay in the tent. Its 12 km of downhill all the way. Reach campsite by the afternoon and chill out. Overnight in tents. The trek for the last day is relaxing and fun walk through the forest and on manmade roads. This day is highlighted by a back drive to Delhi. Following your arrival in Kathgodam; at about 08:40 PM, the adventure of the Milam Glacier trekking comes to an end. Arrive at Delhi by morning. When to book Milam Glacier Trek? 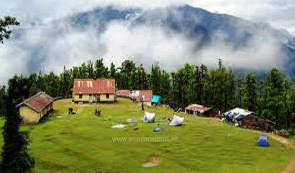 You should book Milam Glacier Trek two months in advance for the trek so that there is ample preparation time. 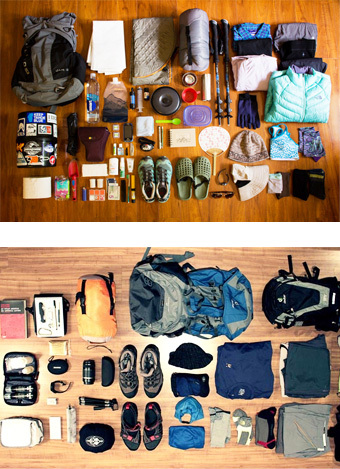 Total weight of the backpack should not exceed 12 kg. You should carry all those things, listed in the itinerary given by TMI. Where to meet you us? Old Delhi railway station is the meeting point for all the trekkers. Our agent will be there to hand over the railway tickets and then you can board a train to Kathgodam. At Kathgodam, our guide will pick you from the railway station and then from there your tour will start. 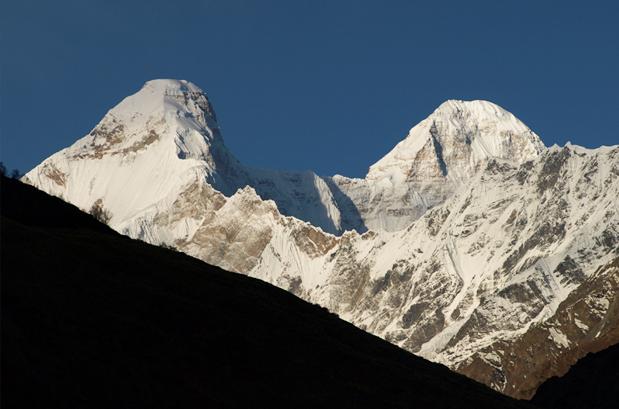 From start till the end, every turn of the trek will be lead by experienced guides, who are also expert mountaineers. What is minimum age required for Milam Glacier Trek? Milam Glacier trek is a moderate trek with a maximum altitude of 14760ft (4500m) minimum age required is five years. What will be the minimum temperature during Milam Glacier Trek? The temperature may drop to 10° C during the night hours. During December to March, the temperature goes till minus. July and August are rainy seasons. How long we trek during Milam Glacier Trek? In a day, we intend to travel for 6-7 hours around lunch time, covering a distance of 10-12 km. If we have to extend the trek because of the reasons which beyond our control then an additional charge may apply which are of a hotel stay and food. Is it safe for a female to go on a trek? Different shoes are suitable for various types of treks, depending on the weather, trail condition as well as duration of the trek. For warm and dry terrains, you can choose low-ankle hiking shoes. Trek boots are best for the rugged and cold condition. Trekking on the glaciers and extensive snow, on the other hand, will require trek boots with crampon-ready features. Any footwear brand that provides ankle support and comes with crampon-ready features are the best for trekking. Quechua Forlclaz 500 is good shoes with value for money. Yes, our departure times remain fixed. We are always excited to go for the trek, even if it's with one trekker. You must register online for further information.